MGM Resorts is taking Snapchat to the next level. 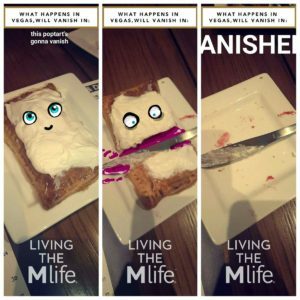 Discover how its geofilters are dominating Las Vegas and what you can learn from its strategy. Snapchat, which now boasts over 200 million users in addition to its seemingly growing 10 billion video views daily, has become 2016’s poster child in marketing circles for how brands should be appealing to younger consumers — notably Millennials and Generation Z, which represents the broad age range encompassing 13 to 34 year olds. According to Snapchat, on any given day its platform reaches 41 percent of Millennial in the U.S., which has created big business for the 5-year-old social network. This includes brands that have taken the gamble by diving head first into a channel still so new that user targeting with ads and demographic data doesn’t exist, unlike its peers Facebook and Twitter. However, as brands — such as Gatorade, who ran a sponsored lens during the Super Bowl which gained more views than the actual number of people who saw the game itself — see a real increase in consumer purchasing behavior, more brands are taking notice and can no longer ignore Snapchat’s impact on marketing to the younger demographic. Two years ago, in these same circles, Snapchat was viewed in a snarky way by most marketers as a secretive channel for college students and teens to send inappropriate photos. Fast forward to today, and Snapchat has surpassed Twitter and LinkedIn among the most active brands on social media. One of the brands which I covered in an article “Snapchat for business: How to reach Millennials through storytelling” earlier this year as an early adopter of Snapchat is MGM Resorts. 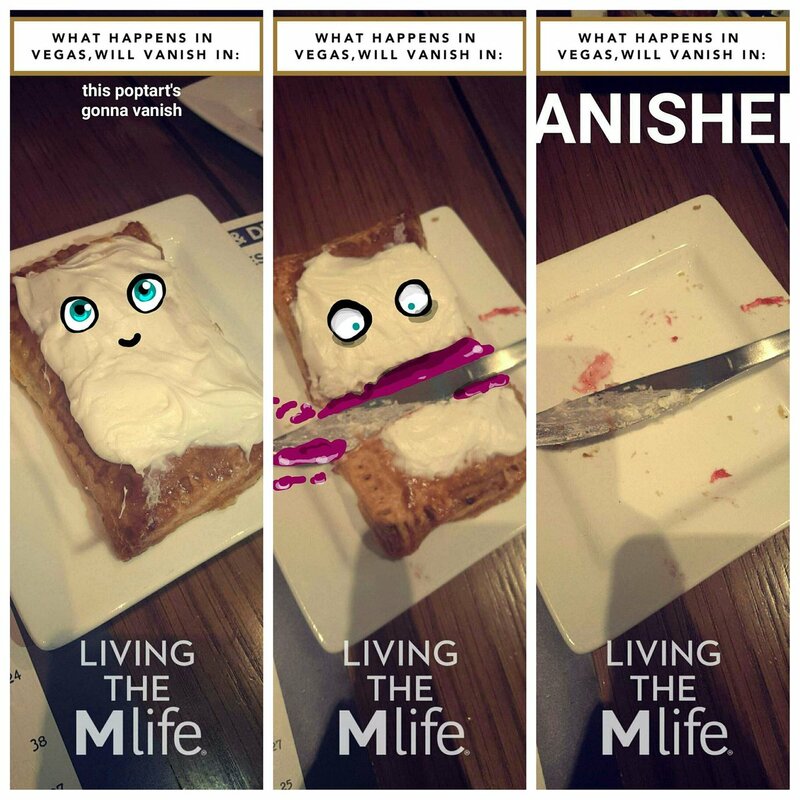 Back in January, during CES in Las Vegas, MGM Resorts launched a Snapchat account for one of its iconic resorts — The Mirage — in addition to pasting a giant snap code in the shape of a poker chip on the side of the hotel, which gained mention in dozens of editorial bylines (including mine). The unknown story is that MGM Resorts was also one of Snapchat’s first enterprise clients to BETA its geofilters product as they ran a 3-day geofilter throughout the highly populated Las Vegas strip. Based on the success of this “experiment,” Beverly Jackson, VP of social media at MGM Resorts, and her social media team have been working behind the scenes with Snapchat on a series of Snapchat filters at all MGM Resorts properties, which rolled out on August 1, and will continue to run 24/7 through the next year. For starters, every MGM Resort property has a different geofilter — meaning if you go to the MGM Grand, Bellagio, Mirage, or New York New York, you will see a filter which is unique to that brand. Unlike the standard Las Vegas community filter that never changes, MGM Resorts is playing up the fact that every resort is a different brand within a larger global brand, and each has its own identity (as seen below). Right now , Starbucks is running a standard “PSL” filter at locations throughout the U.S. to promote the launch of its Pumpkin Spice Latte — however, after seeing the filter at multiple Starbucks across the Oakland and San Francisco Bay Area, the same creative grows stale. As a consumer — and Snapchat user — I want to see geofilters that are relevant to what’s happening in my community or city. This is where MGM Resorts gets an A+ for originality. One of my favorites over the Las Vegas weekend was the Aria “Fill in the blank” geofilter that allows you to write in a saying. Geofilters that can be customized are the “Holy Grail” of Snapchat for brands, as it gives the power of creativity to end-users. In my case, I used this filter multiple times and each time saved it for cross-promotion on Twitter, Instagram, and Facebook. When you put the power of creativity into the hands of users, it creates user-generated content (UGC) opportunities leading to higher in-app engagement and posting to other social media channels (since users find it “cool”) — which in turn results in more views centered on your brand. 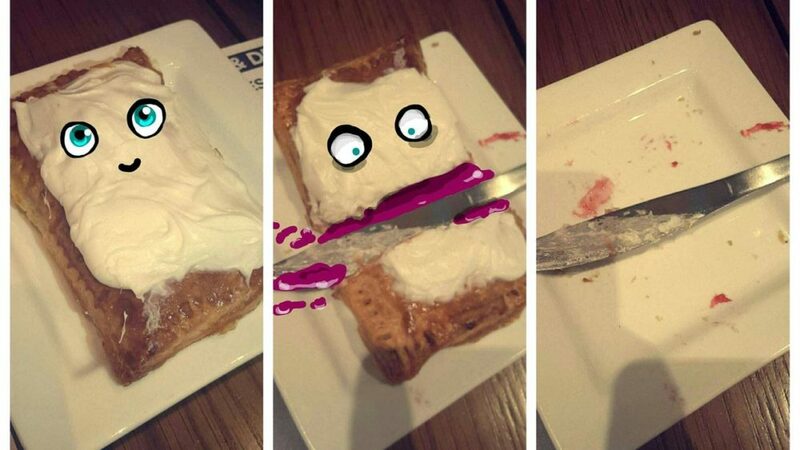 Along with geofilters varying by location, each one of those locations offered me a different in-person experience that carried over to Snapchat. For example, the T-Mobile arena geofilter represented having fun at a Gwen Stefani concert. It also made my snaps look 10-times better. And the Beerhaus filter helped me make my followers on Snapchat feel like they were sitting next to me at the bar having a cold beer. Currently, Snapchat’s non-enterprise geofilter product is limited to media buys, which are timed and have a start and end date. Most often a brand will run their geofilter for a limited timeframe, which is normally a day or a couple of days. As they say, Las Vegas is the city that never sleeps and, in the case of MGM Resorts, their properties literally never close — and neither does social media. So whether it’s 2:00 a.m. at Club LAX in the Mirage or 10:00 a.m. at the MGM Grand pool, geofilters are always on for guests and Snapchat users to capture their most memorable moments using MGM branding. Making your brand marketing resonate with Millennials can be challenging regardless of whether your brand is known for fun and entertainment — even if it’s a casino and resort in Las Vegas. MGM incorporates messaging within the geofilter creative (such as my personal favorite: “Snaps or it didn’t happen”), which makes it fun and cool to share on Snapchat. As a marketer, knowing your audience is the key to success. Overall, with its dozens of geofilters, MGM Resorts showcases the power of branded content on Snapchat and exemplifies how brands should aim to keep users engaged. Carlos Gil is an Entrepreneur, Brand Marketing Executive, Start-up Founder and Public Speaker with 8+ years leading social media marketing and strategy for global brands. 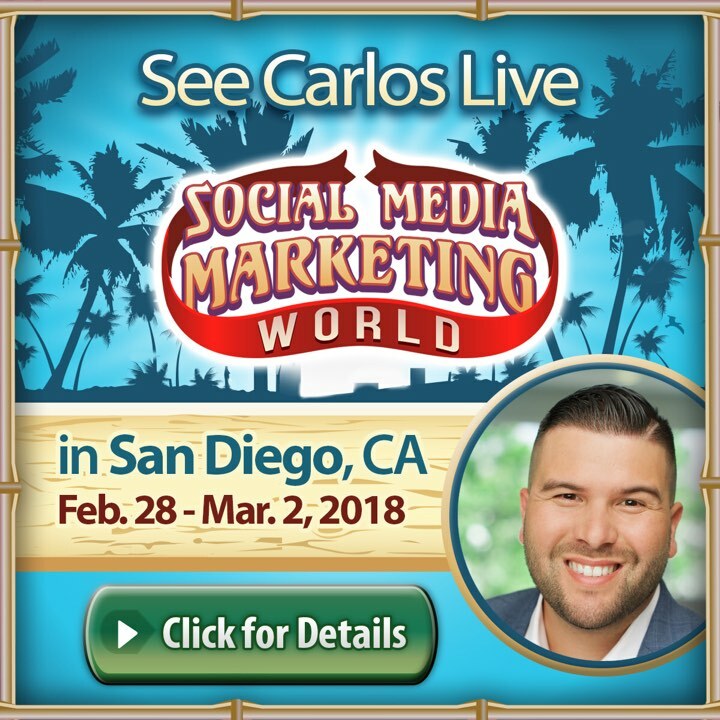 Carlos’ work has been featured by, or seen in, CNNMoney.com, Mashable, Inc. Magazine, Social Media Examiner and is a recurring speaker at industry events such as SXSW and Social Media Marketing World.